Apply a powerful new approach and method that ensures continuous performance improvement for your business. You will learn how to determine and value the people, process, and technology-based solutions that will optimize your organization’s data-to-learning-to-action processes. 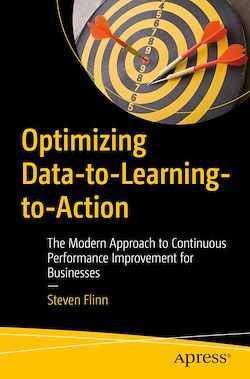 This book describes in detail how to holistically optimize the chain of activities that span from data to learning to decisions to actions, an imperative for achieving outstanding performance in today’s business environment. Adapting and integrating insights from decision science, constraint theory, and process improvement, the book provides a method that is clear, effective, and can be applied to nearly every business function and sector. You will learn how to systematically work backwards from decisions to data, estimate the flow of value along the chain, and identify the inevitable value bottlenecks. And, importantly, you will learn techniques for quantifying the value that can be attained by successfully addressing the bottlenecks, providing the credible support needed to make the right level of investments at the right place and at just the right time. In today’s dynamic environment, with its never-ending stream of new, disruptive technologies that executives must consider (e.g., cloud computing, Internet of Things, AI/machine learning, business intelligence, enterprise social, etc., along with the associated big data generated), author Steven Flinn provides the comprehensive approach that is needed for making effective decisions about these technologies, underpinned by credibly quantified value.